Is your yard divided into distinct areas? You have separate rooms inside your home – one for cooking, a separate area for relaxing, and if you have kids you might even have one for playing. Many people do not realize that you can bring that same separation outside into your yard. 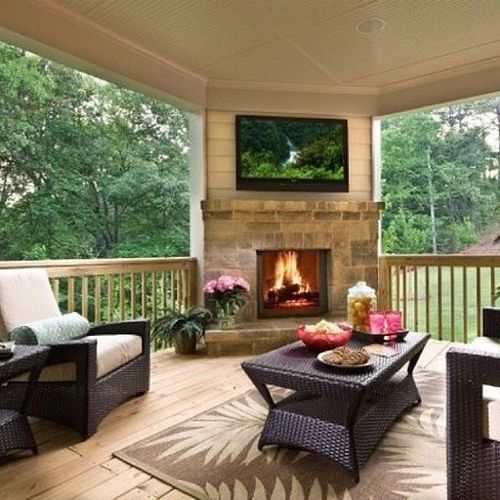 Instead of just having one space for cooking, playing, and relaxing, you can break up the areas of your outdoor living spaces. Just like the inside of your home, you can choose a color scheme or theme for your outside rooms, too. However, instead of using carpeting, wallpaper or paint like you would inside your house, you choose different colored plants and decorations. If you are looking to make a little relaxation area within your landscaping, you might go with softer colors. For a recreation spot, brighter colors would be appropriate. When remodeling inside your home, you usually think of the wall, floors, and ceiling as the essential building blocks. Generally major structural elements like bearing walls can’t be removed because they support the ceiling. The great thing about remaking your landscape area to be more accommodating to a variety of different functions is that your ceiling will not come down by moving a “wall” of the area you are redesigning. Some things to consider when remaking your outdoor living area into rooms are the different things you can use for walls, floors, and ceilings. For the walls you can use either informal or formal hedges, lattice, or fencing. For floors you can use grass or a different type of ground cover, mulch, decking, or a slab of cement or stones to make a patio. If you choose to have a ceiling in your outdoor rooms, you have the option of installing a pergola or arbor, awnings, lawn umbrellas, canvas canopies or you can even plant some trees that offer shade. Rooms do not only belong inside your home. You can get the same separation outside your home using a little bit of landscape design creativity. If you need help designing or making your outdoor rooms come to life, contact the professionals at Architectural Landscape Design today. We can help you bring your landscape dreams to reality. Why not schedule a free in-home design consultation today? We are a licensed MN landscape design and installation contractor offering a variety of landscaping services, including outdoor kitchens, patios, and landscape lighting.